The file size for Fallout 76’s beta test has been revealed, and it’s pretty big. In a recent update to the beta’s FAQ, developer Bethesda Softworks confirmed that in order to get access, you’ll have to work your way around a 45 GB file size. That is undeniably pretty hefty – it’s the kind of download you might expect for a standalone game in many cases, let alone a beta. 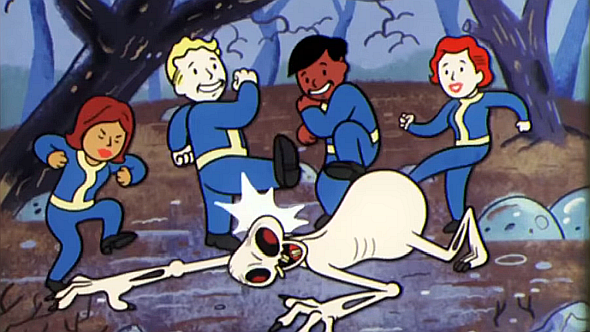 There is, however, a reason for that – Fallout 76’s beta is the full game, and Bethesda says that “our current plan is for your progress to carry over once Fallout 76 officially launches” next month. Elsewhere in the FAQ, they state that the beta “will be approximately 45GB in size.” As I mentioned, it is the full game, so it’s not too alarming, but more frustrating is that fact that there don’t appear to be any plans to let players pre-load the game. That could change, but at this point it seems as though you won’t have access until the beta actually arrives. For Xbox One players, that’ll be later this month, on October 23. For everybody else – that is, those of you planning to play on PC or PS4 – the Fallout 76 beta release date is a week later, on October 30. Before then, it might be a good idea to check the Fallout 76 system requirements, to make sure you can actually run it. It’s worth bearing in mind that the beta is as much an opportunity for you to play the game early as it is for Bethesda to make sure it doesn’t break when the actual Fallout 76 release date arrives in November. The FAQ says that “one of our primary goals is to stress test and break the game,” so you’ll only have access to between four and eight hours on any given day. That’s still plenty of time, of course, but don’t expect to be able to grind it out 24/7 until the full release.